1. 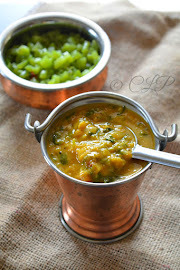 Wash urad dal 2 times in water and soak with more water (just till immersed) for 4 hours. Now drain the water if any to a bowl and start grinding the urad dal in a running grinder. 2. Keep sprinkling the separated water little by little to help in grinding process else the urad dal will get stuck to the base of the grinder. 3. Continue grinding sprinkling water as required until the batter is smooth and fluffy. The whole process will take 12-15 minutes. Once done switch off the grinder and remove the prepared batter with care gently, collect the batter in a vessel. 6. In a small bowl add cold water dip hand in cold water and place a kitchen towel to absorb excess oil in vadas. 7. Take a ball of batter place on your fingers (joint) and make a whole with your thumb and drop the vada in hot oil. 8. The Vadas will start sizzling in oil the vadas will turn golden now drain with a slotted spoon and place of a kitchen towel. 9. 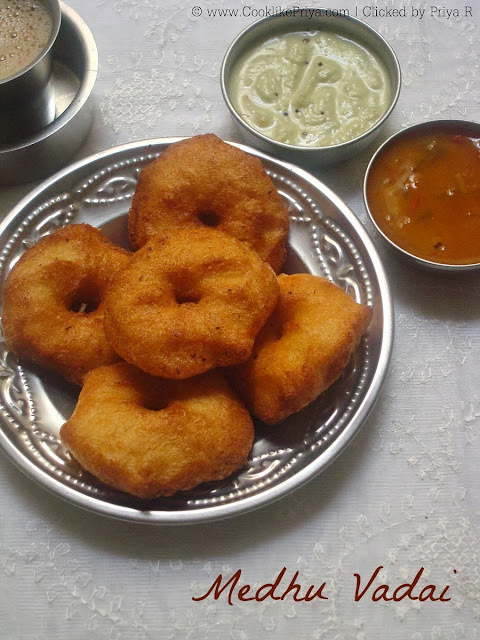 Once the oil is drained serve hot with coconut chutney & sambar. Use good quality urad dal that you use for making soft idlies. 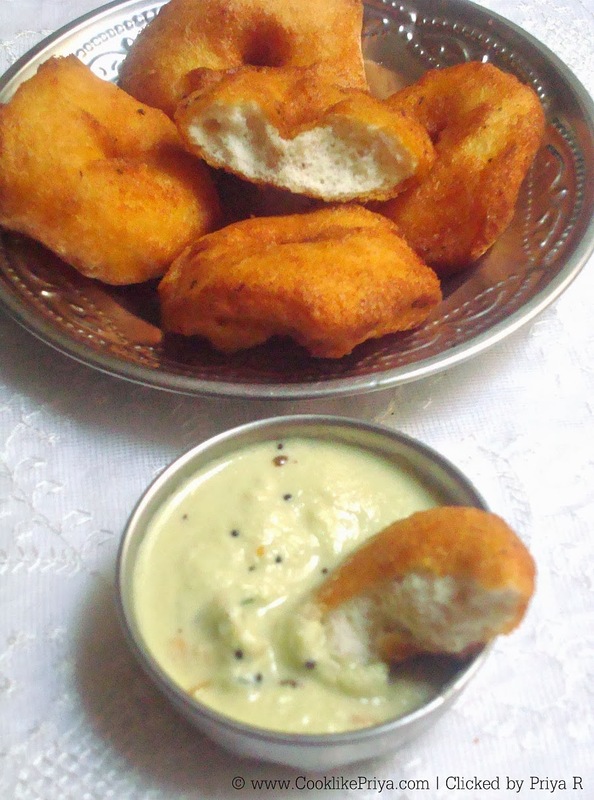 I have not used onions, peppercons, green chilli or ginger while making this vadas. We love it that way, you can go ahead and use them. Before adding to batter you can use a motor to form a coarse paste of them. 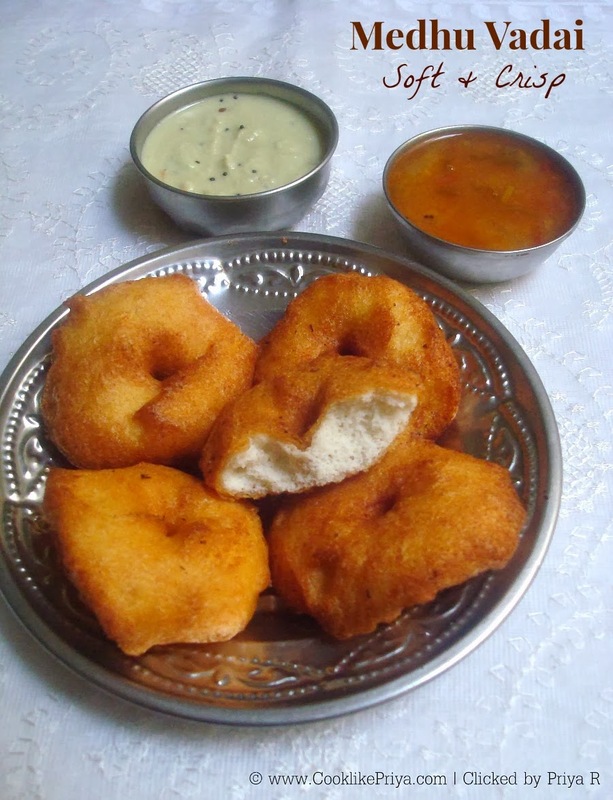 Super tempting and crispy medu vadai,drooling here..awesome presentation. Yesterday i also made this vadas yours seems super tasty. crisp on outside soft on inside. 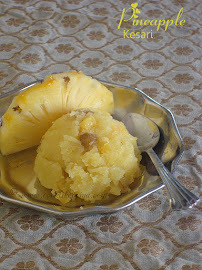 Perfect for this Pongal. 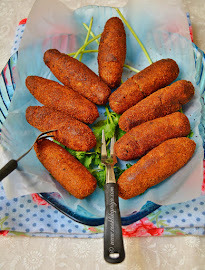 Crispy and delicious looking vadas. Excellent preparation. Lovely pics. 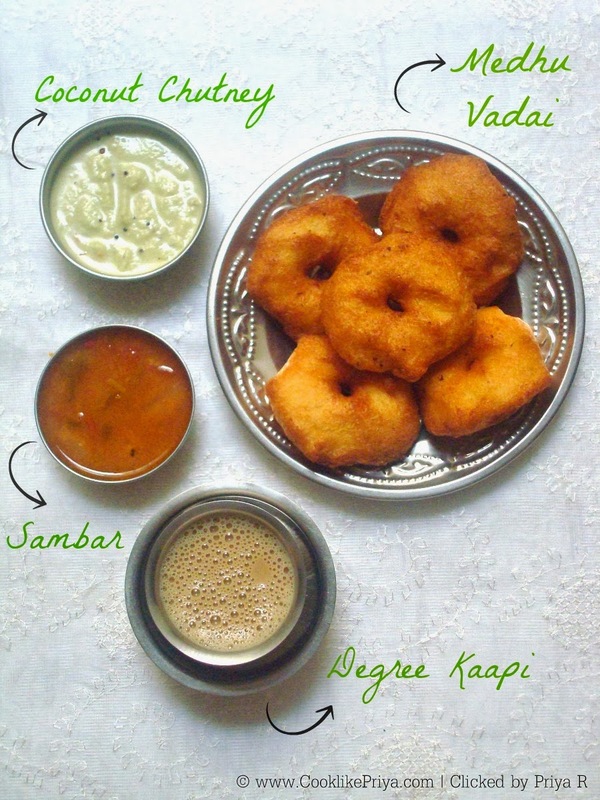 Medhu vada with chutney, sambar and filter coffee is my all time favourite.. Very tempting. I invite myself to your house.. 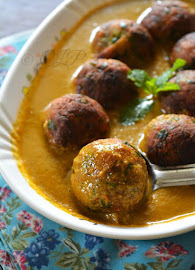 They look crisp & yum.. Just drooling here..
methu vada with chutney is my fav. very tempting vadas. 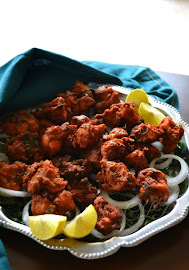 Welding only hungry aftr watching this pics.lovley plater. 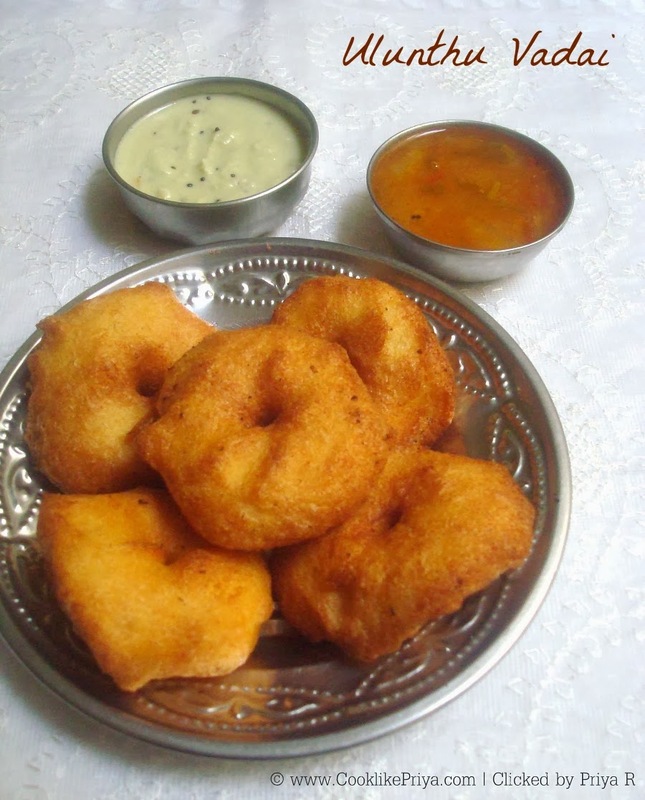 Lovely and comforting combo da..
Love these vadai with onion tomato chutney.